Well I usually do some kind of race recap after a race of significance, so I thought it appropriate to do a recap of a movie about triathlon. It will not be your typically review where a film reviewer would provide likes and dislikes about the movie, but rather how I got a slight insiders viewing of watching a test screening to watching 2 more times for a total of 3 view points, each experience was different.
. 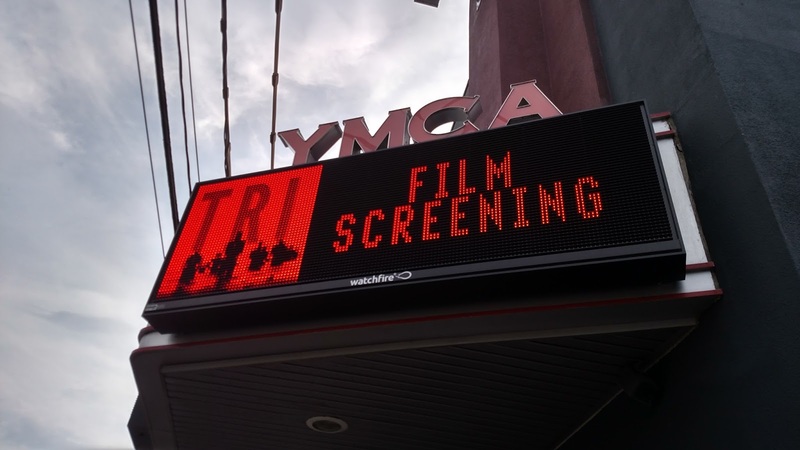 The day before Thanksgiving 2015, I received a message from Jendra with an invite to be part of a Test Screening of her triathlon movie. How cool was it to be part of an informal insider event, and the subject was triathlon which made it special, especially with Irene officially signed up for Ironman Maryland 2016. We sat down in the Mango Screening Room and (I apologize who it was) someone introduce himself and explained that the version we were about to watch was a post rough cut and expect the sound and coloring to be off, all of which would be corrected in final production. He asked to enjoy the movie and remember that their will be a questionnaire after the movie. The lights dimmed and the movie began. Regardless of the color and sound quality, the movie hit home for me as an aspiring triathlete. The jokes that were embedded in the film made me connect with it and as the plot thickened, it felt like my story as well. I remember squeezing into my tri kit and wetsuit and not being able to breath. The cost of the bike was like "WTF did I just get into." I cringed when I saw the bike practice as Skylar fell. Getting up at 4am to go swimming in a pool is no fun. Having injuries was understood definitely by me. Even vomiting during a workout by Christy (Kelly Spitko) made me laugh. Squeezing into a wetsuit continues to provide chuckles during race day! Being inspired by Julie Moss' collapse before the finish line was included and gave Natalie the spark to do the race. Negotiating to myself to search my why to continue struck a cord with me, because the couch is so inviting and a pint of ice cream is in the refrigerator. There was enough triathlon experiences in the movie to make it a triathlon themed movie and not a glossy version of the sport. Other subplots included Christy's character struggles of being a former elite triathlete who battled cancer to make a comeback into triathlon to how Zeus provides enough common sense for the other characters to better understand life. Just enough drama and comic relief of the supporting cast to make it a great family movie. The only thing they did not discuss in the movie was the peeing on the bike and maybe waiting on-line at the port-a-potties would have shed the dark side of triathlon. Irene wiped a few tears away and the lights brighten up as the person who introduce the movie in the beginning began to ask questions to audience. One question that he asked was, "Would this make you want to do a triathlon?" For me, Irene and a few audience members, it was a yes. What I found interesting how the triathletes ask questions about triathlon, while non-triathletes asked questions about the film making and story. After the test screening, there was a Q&A with the producer, Ted Adams. He is an Ironman and Triathlon Coach, so my job of technical adviser was also taken. But he explained the research of the kinds of he did for the kinds of injuries an athlete can sustain and still race. It was interesting as he shared his account of the logistics of filming at the actual Nation's Tri. I found it interesting that all of the actors have not done an actual triathlon and during the auditions they asked the candidates to swim, and many were cut! Ted also explained (spoiler alert) the injury sustained to Nicole happened to be enough injury for the movie, but not enough to have her quit the race. During the race you see the bruises and listen to the self-talk, but she perseveres! During the Q&A, I mentioned that Natalie sort of disappears for a little too long then all of the sudden she is doing the race. During this screening, the magic of editing shortened that lag time. I was amazed with just a few swaps in the original viewing changes the pace enough for me not to notice the difference in the second viewing. I was then invited to a final production screening at the Directors Guild Theater, where Irene and I got to watch a movie complete with the right sound, color and music. The title sequence started the movie like it should and again, I was back into the world of triathlon as a newbie learning all of the disciplines of swim, bike and run with the scare thoughts of not completing the race or drowning. This audience consisted more movie watchers and film people than athletes, based on questions about film production and plot. 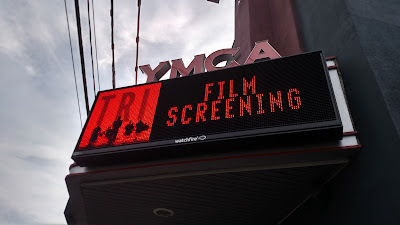 Lastly, as word got out to the public that TRI was available to be screened at local theaters, my friend and Wildwood Warruirs teammate Michelle Rizo-Berg reached out to the producers at the same time that I was going to see how we can view the movie as a team. Fortunately, Michelle runs the Boulton Center in Bay Shore which is an excellent venue to watch this film and our Team gathered to watch followed by a Q&A with Ted and Jenson, along with John Graziano, Gils Rivadeneyra and Irene. Again, it's a great movie to watch as a family as well as on your bike trainer. Click here to watch TRI on Amazon. Let's Swim, Bike and Run! Recently, New York Senator Chuck Schumer requested railroads to conduct sleep apnea studies on railroad conductors on each rail line and have them published. While being tired plays a factor in some of these train accidents, is there something these train conductors can do to improve their sleep, so that they can perform at peak performance as they move thousands of people at a time. It is scary to think that someone will fall asleep at the wheel. Currently 1 out of 15 people or 18 million Americans suffer from sleep apnea according to the National Sleep Foundation. The majority of those have obstructive sleep apnea where the throat collapses during sleep which causes a blockage of the airway. The other kind of disorder would be central sleep apnea where the brain signals to the breathing muscles are unstable causing someone to stop breathing. If you ever noticed someone who is snoring, that is a sleep apnea indicator that should be evaluated by a health professional. If your wife or husband sleep in another room, go get a sleep study evaluation! Typically people who have sleep apnea are deprived of sleep, you might find that they have different performance issues with work, memory, driving. They might be more irritable or depressed. If left untreated it can lead to falling asleep while driving, heart attack and other cardio pulmonary conditions. Typically if you are male, over weight, over 40 years old, a neck size of 17 for males and 16 for females, large tongue, large tonsils, small jaw bone, family history, gastroesophagel reflux, deviated septum, allergies or sinus problems put you at risk for sleep apnea. So, what can you do for sleep apnea? First, make sure you improve the place that you sleep. Remove any distractions from the bedroom, such as clutter, electronics and the television. 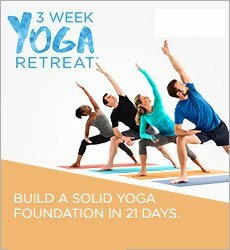 A little yoga can help you unwind and relax the body and mind for bed as well. For a calming stretch routine to do before bedtime, check out the Rock-a-Bye Beast Stretch video by Sagi Kalev on Beachbody On Demand, inside the Body Beast program menu. During mid day, if you can take a nap, take a short nap of 10-15 minutes. May people whose throats physically collapse because they are relaxed during sleep, use a device called a cpap (Continuous positive airway pressure) or bi-pap (bi-level positive airway pressure to keep the throat open for breathing while sleeping. Always work with your healthcare professional to make evaluations for your sleep. If there is a physical abnormality in your throat, some medical professionals will alter your airway with surgery or a medical appliance. Accoring to Respiratory Medicine a study found that consistent exercise in subjects who suffer from sleep apnea significantly improves sleep outcomes. The study authors included sleep data from eight clinical articles with 180 participants and examined overall sleep as well as the number of disruptions per hour of sleep in people who also exercised daily. They found that subjects who exercised had fewer breathing interruptions at night and this group also reported being less sleepy the next day. Sometimes our busy worklife does not allow a convenient time to workout, which is why Beachbody on Demand All Access Pass provides a routine and trainer available 24/7 for your schedule. However, rigerous exercise for some people is okay before bed. May others prefer to stop their last workout 2 hours before bedtime to allow adrenaline and heart rate to come down. Note that the body prefers a routine, so by creating consistent habits and routines, your body will want to wake up at a certain teim, exercise at a certain time, and go to sleep at a certain time! Remember Sleep is not Overrated! Visit your doctor and be safe at work and any activity that needs you to be alert and awake! Sweet Dreams! Don't let the Bed Bugs Bite! 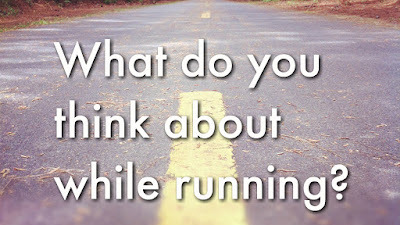 When I am finally thinking of nothing during a run, that is when I am calm. The Zen-like trance really helps me focus for the rest of the day or clear my mind from the happenings of the day. Mind you don’t completely zone out because of traffic, but enough to clear your mind. I usually don’t get then in the pool or when I ride the bike outdoors. In the pool, I am working on drills, elbows high and don’t drown. Biking outdoors, I am scanning for cars. When I bike indoors, depending on the workout, I am looking at my bike computer for power and time and wanting to get it over with. But if I am just spinning for hours, I can get lost as well. Whatever you think about during a workout, remember that you are lucky to be able to do this. People in parts of the world are running for reasons that we can not fathom. Whether you’re training for your first 5K or pounding the pavement for another 26.2 bumper sticker, one thing all runners have in common is oxygen. Breathing in and out is as natural as, well, breathing. When you go for a walk, you don’t actively think about taking in oxygen and expelling carbon dioxide; it just happens. 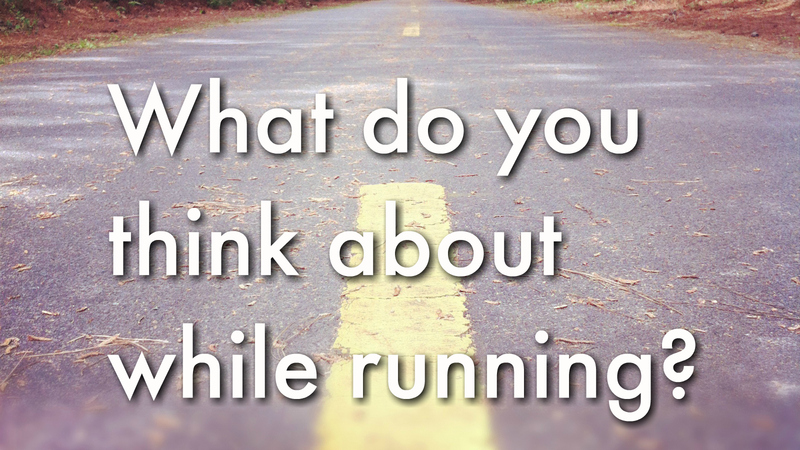 So why does breathing feel more complicated when those legs get pumping? In the days when even a slow jog can leave you panting like a dog, your internal dialogue says you must be doing something wrong. Turns out, you may be right. Before you can get to the heart of better breathing, you should first understand why oxygen is so important not only to a runner’s lungs, but also to a runner’s muscles. 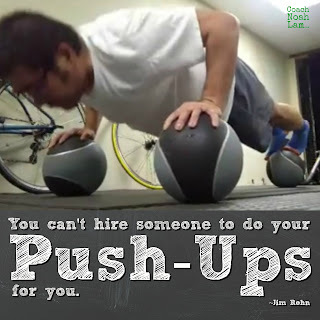 “Your muscles need oxygen in order to fire,” says Bill Bishop, head coach and founder of Chicago’s Bishop Racing, who helps athletes achieve their competitive goals in running, swimming, cycling, and multi-sports. Your heart pumps blood, circulating it around the body and once oxygen enters the lungs, it passes through alveoli and into the blood, where it’s transported to muscle cells for use in cellular respiration, he explains. The harder you run, the more oxygen your muscles need, says Bishop. Going harder or faster may feel like a far-off goal, especially if you’re more focused on simply not passing out. But the good news is that no matter what your running goals may be, breathing better can get you there. There are two main schools of thought when it comes to breathing and running: natural breathing and rhythmic breathing. Natural breathing is just as it sounds — breathing in a way that comes naturally to you. “A lot of new runners have a tendency to overthink it and get so analytical about their breathing patterns that they don’t actually just relax and breathe,” says Bishop, who says this can lead to hyperventilating. Rhythmic breathing, on the other hand, relies on your natural inhales and exhales as a guide for foot strikes. “The most common breathing rhythm of the well-trained runners I’ve tested is a 2-2 rhythm, which means they take two steps while breathing in — one right foot step and one left foot step — and two steps breathing out,” says running coach Jack Daniels, Ph.D., associate professor at A. T. Still University in Mesa, Arizona, and two-time Olympic medalist in the modern pentathlon. Another effective rhythm is the five count (3-2) breath, says Beachbody’s fitness and nutrition content manager Trevor Thieme, C.S.C.S. “The goal here is to avoid beginning each exhalation on the same foot,” he says, adding that when you breathe out, your diaphragm and the muscles around it relax, reducing core stability. “If you begin each exhalation on the same foot, you’ll concentrate the impact forces on one side of your body; if you begin each exhalation on a different foot, as you will with the 3-2 rhythm, you’ll distribute those forces equally between both sides of your body, reducing your overall risk of injury. While there are benefits to both styles of breathing, you won’t know what works best for you until you give it a whirl. While there are benefits to both styles of breathing, there’s one common recommendation for all types of exercise breathing: Practice making your muscular diaphragm your primary breathing muscle, instead of your chest and neck muscles, which tend to be shallow and inefficient. Do You Suffer From Side Stitches? Side stitches are often a stabbing pain beneath your rib cage or along your side that comes during running and exercising. If you are familiar with the sudden side stitch, you’re not alone: 70 percent of runners experienced this pain at least once during the 2014 year surveyed, according to research published in the New Zealand Journal of Medicine. While scientists have explored the reasons for the side stitch and found a number of potential causes — including excess gas and digestive issues, restriction of blood flow, and an imbalance of electrolytes — the jury is still out on the precise reason for this exercise-induced discomfort. To get relief, Bishop recommends easing the pain by either contracting your abdominals (try a bicycle crunch, for instance) or shift to short-fast inhales and longer exhales until the pain passes. Another option: Slow your pace, try applying firm pressure with your fingertips into the sore spot, and just wait it out. I’ve never been to Maine in my entire life, but kept hearing that you can get lobster everywhere. So after Irene told me that she was going to do Ironman Maryland and include Timberman 70.3 as a training race, I decided to look at taking vacation in the most Eastern State of the Continential Union. For months I kept thinking about lobster! In between the lobster dreams, I planned the trip to include landmarks and things to do; whale watching, shops, museums, tours, and learn to catch lobster! However the scene where Forrest Gump runs one ocean then to another ocean, he runs to a lighthouse and turns around to run across the country again got me into running and eventually helping others. Thank God for Google, with the words, “Forrest Gump Landmarks” I found the Marshall Point Light, Port Clyde, ME. It looked not to far from civilization based on Google Maps, so I listed it as a destination spot to visit. 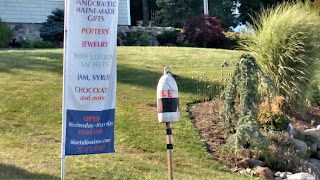 Then I felt like running, so I Googled “Half Marathons in Maine.” Well it turns out that the the Blueberry Cove 13.1 was near the lighthouse, and even better yet. It happened to be the following weekend after Timberman 70.3. So excited, I turned to Zachary and asked if he would like to do a Half Marathon, and he said, “Sure.” We began to train building up slowly adding a few 10 milers. I felt confident going into the race and Zachary was at a running camp the week before so he also had enough miles to finish strong. I expected based on this training that he would probably finish about 1:45 and I was using this race as a build race for the Suffolk County Half Marathon at the end of October. As we drove to the race start, we saw some early starters. The race allowed for walkers to start before the official start to give them time to complete the course. We cheered them on as we passed. We arrived at the course located at the 4H Camp & Learning Centers at Tanglewood & Blueberry Cove with our basic bibs cutout of a bolt of cloth and marked by hand with a blue Sharpee that we picked up the day before. 114 for me and 115 for Zachary! Surprisingly we found a parking stop near the camp area. 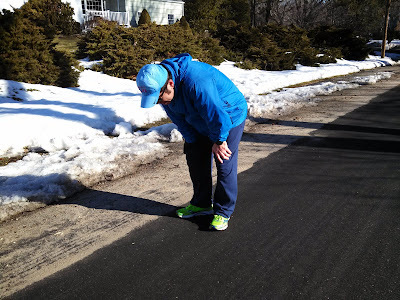 Both Zachary and I did our things with the portapottys, then we walked down to the official start was on Hartsneck Rd. The race director, thanked us for coming out letting us know that the race fees give kids a chance to attend the camp at no charge. There were about 200 participants towing the start line. pattern throughout the race even forcing myself to still walk even though I felt strong. I started running with someone who has done the race many times and we chatted for a little bit about the weather, where we were from. The basic stuff you talk about, then with a moment of silence, I started to pull away. about 10 minutes later, my alarm buzzed to walk and so I walked, and he came up with some words of encouragement and I told him I was doing a run/walk for this race and he said, “Great! Keep it up!” and he passed me. I later passed him and we did that a few times. Around mile 7, I yelled for water, and Zachary looked over his right should as we made the right towards the water. Even though he looked at me, he did not notice it was me. He was totally zoned out. Around mile 7.5, he was coming back from the Marshall Point Light House (Forrest Gump) is then we noticed me coming towards him. I think at that point he was a little surprised to see his old man so close to him. I made a counter clockwise movement around turn around point as a volunteer said to go around the cone on the floor. You can see the Lighthouse on the left. I said thanks to the volunteer and head towards the finish. I felt strong! For several miles, I was holding back thinking I should not pass Zachary. I wanted him to cross the finish line in front of me, at least his first. However, I kept reeling in Zachary. For a few minutes, I thought about what was I going to say when I catch up. Should I ask what is wrong, but knowing him he would not respond to that question, especially as his Dad will pass him in something that he is much faster than him. At mile 8.25 I pulled up to his right shoulder. I saw his face grimacing, and I said, “Keep up the great work. See you in a few minutes!” And just like that, I passed him. I did not know what to think because I really don’t want to win or having bragging rights, but I knew this would probably be that last time I would ever pass him in anything. I looked back at an emotionless face and I was not sure what to think. He’s very hard on himself at each race. My thoughts then returned back to my time watch time and doing the mental math in my head, I knew I was going to cross the finish line under 2:00. Something that I have been trying to do for 8 years, and I was not expecting to do it until the end of October where I would run the Suffolk County Half Marathon, which is a flat course). I still kept doing the walk when the alarm beeped, and when the alarm said to run, I did! I finally make the left on the the dirt road leading back to the camp. I yelled to Irene who was very confused to see me come in before our son, “Zachary is about 5 minutes behind me.” There were 2 chutes, one for runners and one for walker. I moved towards the left chute and raise my arms as the clocked flipped to 01:56:51. I beat last years Half Marathon time by over 8 minutes! The volunteers handing me my medallion and I walked back to Irene to wait for Zachary. You can still see Zachary’s non-emotional face and stride as he ran to the finish. I know he was not happy, and I knew to give him space after a race because I don’t know if he had a good race or bad until minutes later. So I let him wander around as Irene asked where did Zachary go. I told her to leave him alone and be patient. He has the same straight line movements to avoid us at every race, and these moments of time have reduced as he has gotten older. He think he puts a lot of pressure on himself. After a about 20 minutes we walked down to the water to unwind and laugh. Then back up to the mess hall where a brunch buffet awaited for us! During this time, Zachary opened up to let me know he was disappointed with his race, and I reminded him, this is the longest run and he should be proud. We got to do this race together and have some famous Wild Blueberry Pie. This race is one of my favorites. There is something about a small unique race that big city races do not have. It feels intimate that you can relax and enjoy every mile without getting caught up in worrying about getting to the start, finding a place to eat, finding your family afterwards and all the crazy logistical challenges. Yes, I still love big races like NYC which I have friend running in November. 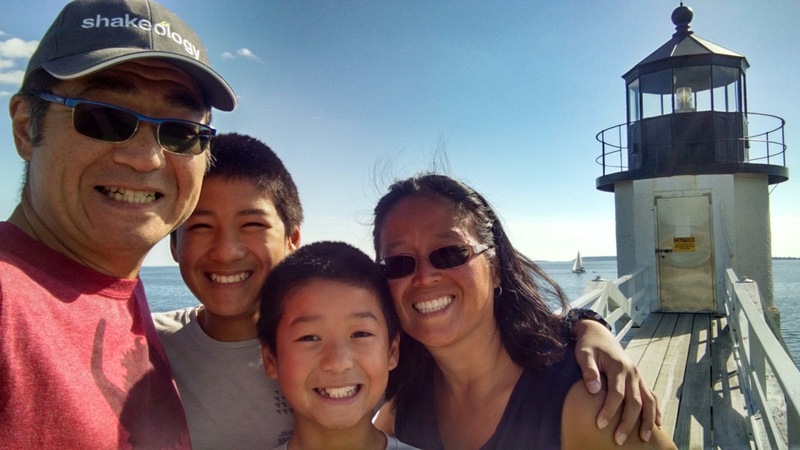 The more experiences the better, and I am so grateful to having to share this with my son. As much as I get personal satisfaction with achieving my goals. I find it more important to have memories with my family and friends. 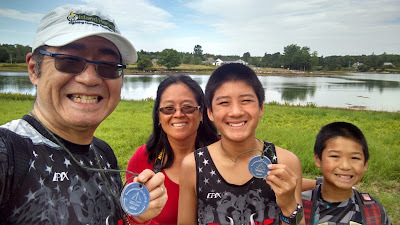 At the end, I finished 48th Overall, 4th in my age group and Zachary finished with 2;00:32, 57th Overall and 3rd in his age group. 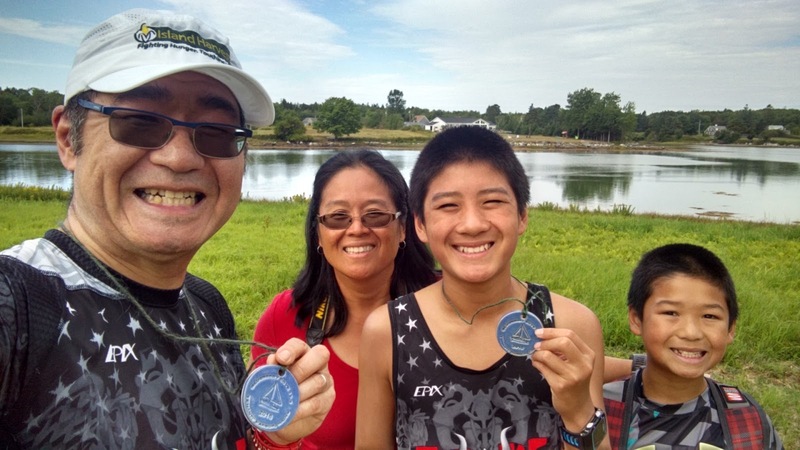 Next stop, Ironman Maryland for Irene! You can't hire someone to do your Push-Ups for you. You must do them Yourself. 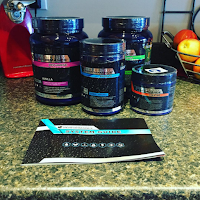 Beachbody Performance has a product for your Pre-Workout in Energize, a Post-Workout in Recover, and a overnight support product in Recharge. Many Long Distance Triathletes have asked, what about DURING. 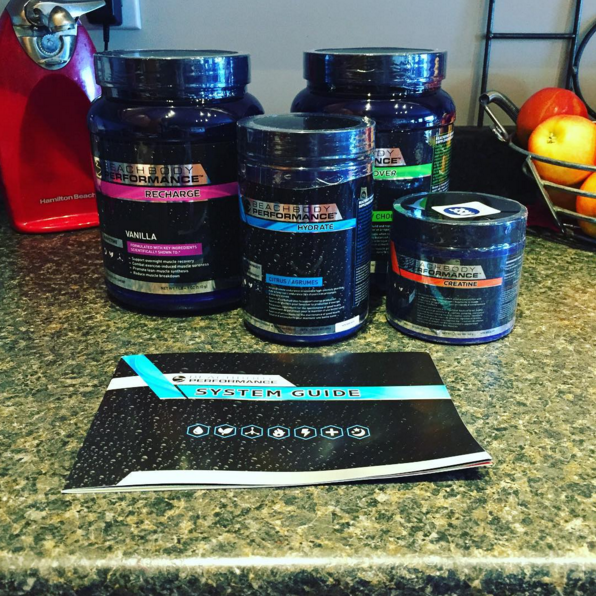 Click here to learn more about Hydrate for during your workout!